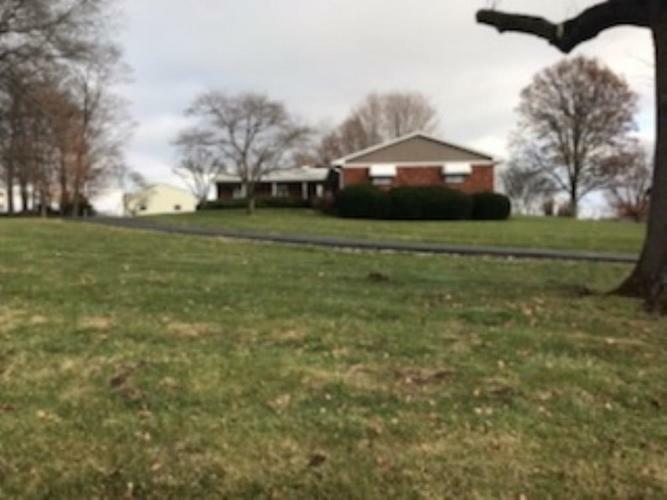 Brick ranch home on almost 3 acres in Johnson County! Enjoy country living with all the amenities of the city close by as home is within minutes of I-65. This beauty has 3 bedrooms, 2 full bathrooms, and wood-burning fireplace on the main level with original hardwood floors still showing in most rooms. Basement is an added hidden treasure - half of it is carpeted and is currently configured as a 4th bedroom with its own separate sitting room, shower stall, and private entrance through the garage. This could easily be used as a 4th bedroom, rental space or home office. Come see this brick ranch with 3-4 beds, 3 acres, and ready access to a major interstate - don't miss this rare opportunity! Directions:From Main Street Greenwood and I-65, go East on Main Street, which will become Rocklane Rd. Go North on N Matthews Rd, 255 N Matthews Rd will be on the East side of the Street.